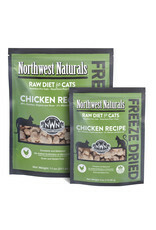 Northwest Naturals is a great freeze-dried raw food at an awesome value. They use the same meats found at your finest natural people food stores. 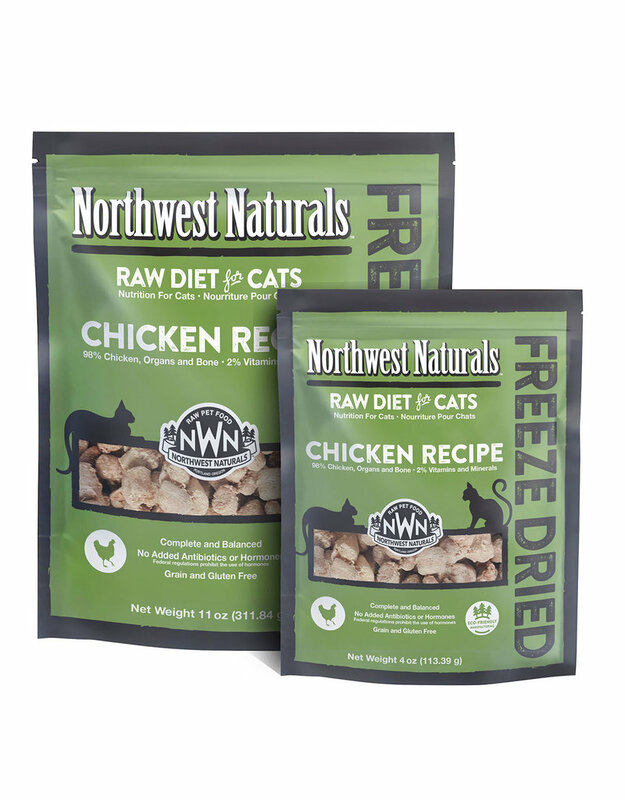 All muscle and organ meats are chopped (not ground) partially frozen at the time of processing to ensure the availability of the highest quality nutrients, then individually quick frozen to keep the integrity of the ingredient quality. Their recipes are very simple and easy to digest. Chicken and Turkey Recipes use muscle meat, organ meats and natural raw ground bone, all from the same species. No added fruits or vegetables. A true carnivore diet! 2 sizes for added convenience! Chicken, Chicken Necks, Chicken Hearts, Chicken Liver, Egg, Ground Flaxseed, Kelp, Organic Dulse Powder, Gelatin, Organic Psyllium Husk Powder, Fish Oil, Potassium Chloride, Sodium Chloride, Taurine, Vitamin B Supplement, Zinc Proteinate, Iron Proteinate, Vitamin E Supplement, Copper Proteinate, Manganese Proteinate, Mixed Tocopherols (as preservative), Vitamin D3 Supplement.